Today, we went to Shorinji Kempo Dojo. It was a very nice experience. I have been trainig Aikido for couple of months and in general I am quite interested in Martial Arts. I like to experience new things and learn different techniques. I was positively surprised when I saw that Shorinji Kempo uses similar techniques as in Aikido. But of course there are many other movements which are complitely different but used in a similar situation. The principle is the same as in Aikido and many other Martial Arts. That is to use Shorinji Kempos techniques in self defence only, and try to avoid fighting in every possible way. 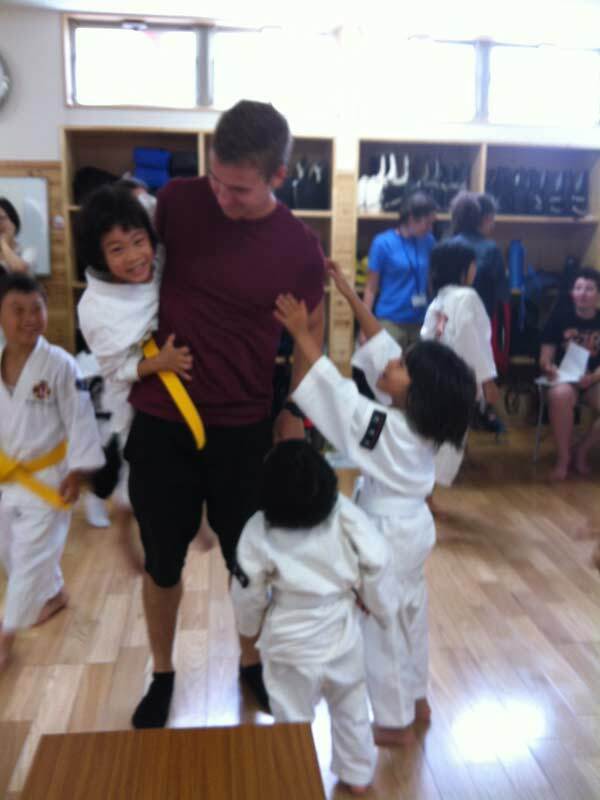 We trained today with Japanese children who train in the Dojo. They were really excited to meet us and eagerly showed us the movements. Other members of the Dojo were kind and welcoming. 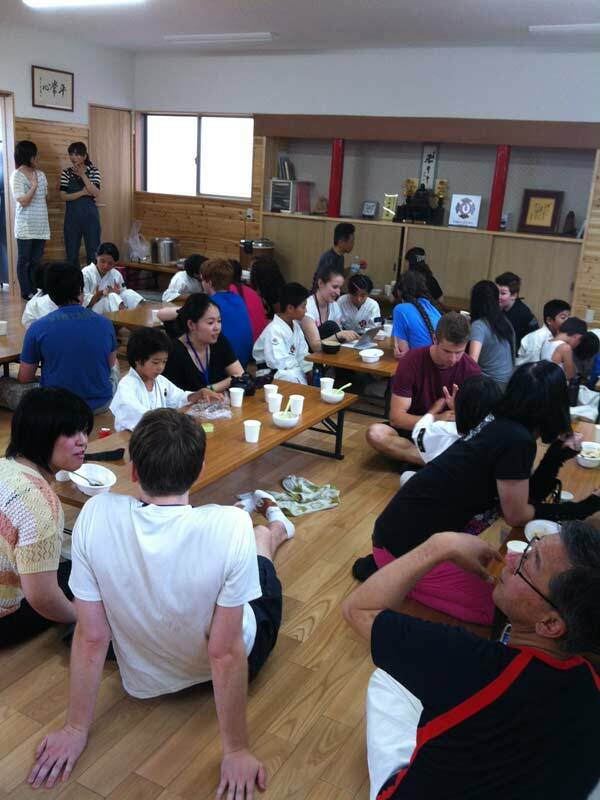 A mother of one of the kids even made a lunch, cake and Japanese tea for us. It was really delicious. Also, My Host Father is training in the Dojo and I went with him few times to watch the training. 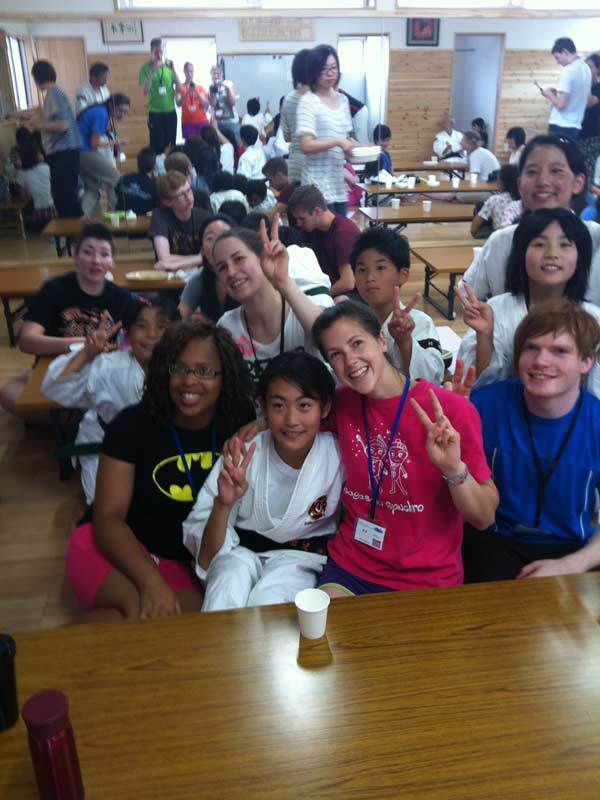 I am really grateful because I got a chance to experience Shorinji Kempo and learn more about it. We had a great time with the kids and took a lot of photos. They made my day and those memories I will cherish forever.